← How do I know who I am? Changes in relationships with people you’ve been close to forever. They were a group of students at a nearby table in the T-Room at MSU, and they were passing the time between classes reading the “Murray State News” campus police report aloud to each other. When they got to the part about the student who overdosed and was taken to the hospital by her boyfriend, I forgot about everything else going on at my own table. They were reading about me and they had no idea. The hospital sent me home because they thought I was just trying to get attention, since I didn’t take enough to even hurt me. What they didn’t know was that I didn’t take the whole bottle because I was afraid I would vomit the contents before they could do the job, and I thought what I took was enough. I was only 20 years old and really sick, and knowing how to effectively overdose had never been on my list of things to study. But I knew my name, and where I was, and what year it was, so they tried to “teach me a lesson” by making me unnecessarily drink the charcoal concoction, and then they sent me home. They treated me like some stupid, attention-seeking kid and they had no idea. But they did at least schedule an appointment for me with the campus counseling center. The counselor asked me why I did it and why I didn’t tell anyone. Were there problems at school? At home? I told him, “I have the perfect boyfriend. I have the perfect family. I have amazing friends. I love school. I’m a great student. I just pledged this sorority and I have all these new and wonderful friends and experiences. How was I supposed to tell anyone all that, and then tell them that I wanted to die? They’d think I was crazy.” I was so sick that I had been having suicidal thoughts without even showing any other signs of depression, and it all happened so fast. There were warning signs but none of us recognized them because we weren’t educated about it. We had no idea. 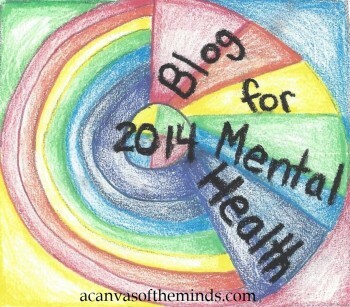 This entry was posted in advocate, bipolar disorder, mental health awareness, mental illness, Uncategorized and tagged mental health in teenagers, mental illness, mental illness and parenting, nami, suicide, support for teens, talking to children about mental illness, talking to loved one about mental illness, what to do if someone is suicidal. Bookmark the permalink.